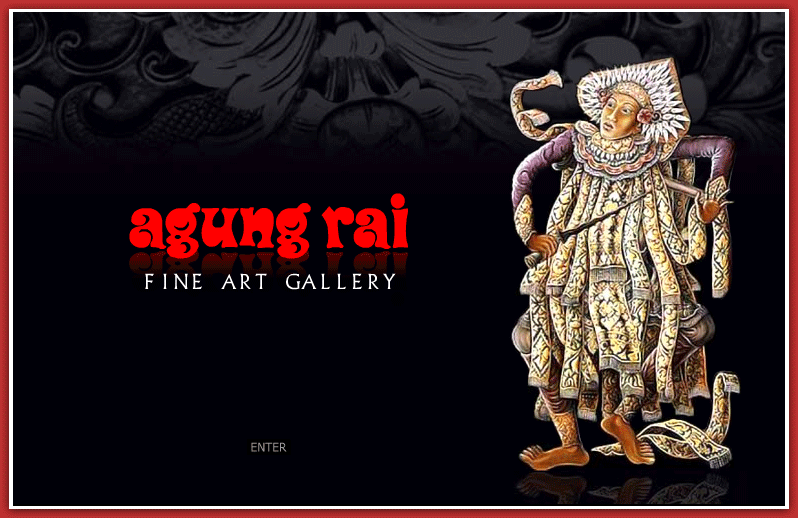 The paintings in this catalogue have been selected from the collection of Agung Rai. The collection as a whole, with works dating from the turn of the century to the present, gives the viewer a sense of the evolution of Balinese painting during the time, and of the range of modern Indonesian art. Comprising works representative of all styles of Balinese painting, as well as works by Western artists who encouraged and supported Balinese painters, the collection also includes paintings by Indonesian and foreigners who found, or continue to find inspiration among the Balinese. @ 2007 - 2019 by Agung Rai Gallery. design by Bali Web Design All rights reserved.